Energy. Liberty. Support. Trust. Emotion. Help. Cohesion. Personal development. Enrichment. Friendship. Experience. Communion. Satisfaction. Curiosity. Communication. Critical spirit. Magic. The circle that Mihaela, our trainer, draws on the board soon becomes too small to encompass all the words that are coming from the teachers to describe the three day workshop they have been attending. 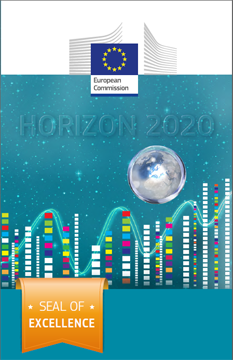 After strenuous paperwork, we just received good and welcome news from the EU: Our application for Horizon 2020 has been awarded the so-called Seal Of Excellence. The seal is a new arrangement for projects that satisfy all demands needed in order to be approved. As the European Union has allocated all its funds in the project, the recognition in practice serves as a recommendation for national funding. 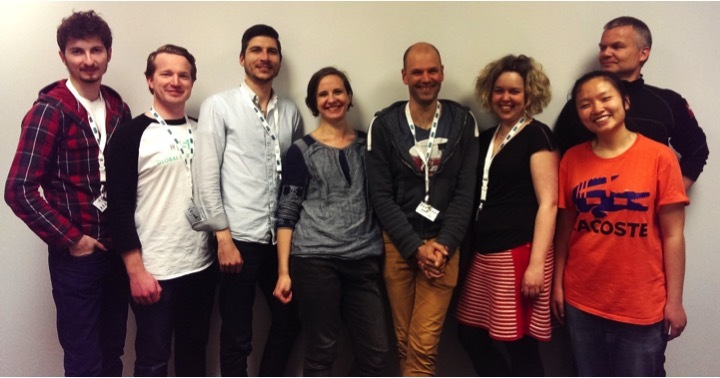 newSchool have received assurance of funding from Innovation Norway. 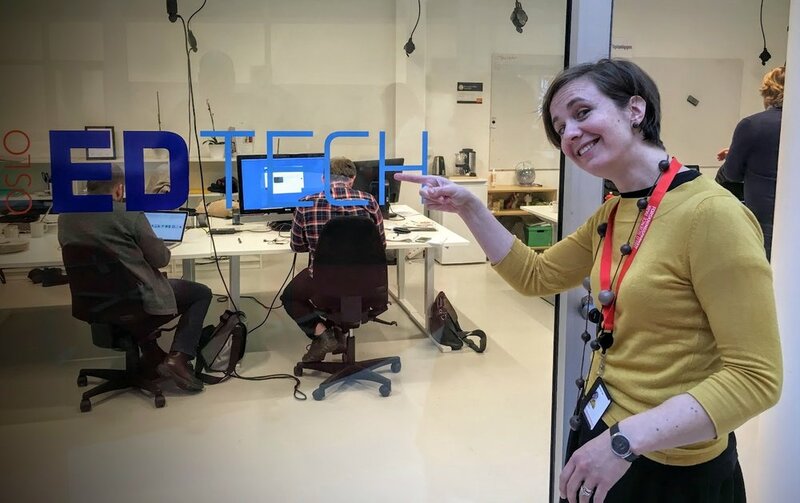 Mihaela is where it happens: newschool is now present at Oslo EdTech Cluster. The cluster works to develop, commercialize and export Norwegian learning technologies. They work with business development, growth and internationalization of Norwegian EdTech companies, and cooperate with market participants and research environments to develop world class Norwegian EdTech companies.Oslo EdTech aims to ensure interaction and added value between member companies, R&D groups and the market, focusing on strengthening the competitiveness of the cluster members and contributing to a stronger Norwegian EdTech industry. Nils Jacob and Fredrik participated in the first Startup Extreme organised at Voss in Norway this past weekend. They enjoyed highly rewarding days with fantastic experiences while getting to know great people in rather unusual circumstances. This was certainly not the last time newSchool will participate in this event! See this post by Robin Wauters for for more pictures and a summary. Sir Ken Robinson is one of the sharpest critics of our educational system. 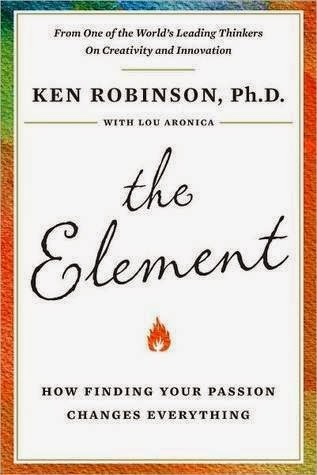 He show in this book how important, and sometimes hard it is to find our own Element. Schools should help us find our true passions - unfortunately they very often fail, sometimes without an attempt . Each one of us has a unique personality and unique way to get in the zone. Thinking in terms of categories like the Meyer Briggs 16 personalities types, prevents us from finding our unique Element. I like his critic of the Myer-Briggs personality test; according to Robinson neither Ms. Briggs nor her daughter Ms. Myers had any qualifications in the field of psychometric testing when they designed the test, still used on millions of people every year. It limits our thinking of personalities down to categories. Content must me localized. Standardized content from US or Europe is not sufficient. The richness of African languages and culture, must be considered an asset and not a problem. For students to connect with the content, it must relate to their lives. Connectivity is essetial. Internet connectivity in Uganda is poor and very expensive - although the minister of ICT Hon. Nyombi Thembo tried to argue otherwise. I guess the fact that we only had internet connection on 1 out of 50 attempts on the conference Wifi says it all. Offline solutions are required, but there is a huge job to be done with connectivity in Uganda - I think many other African countries (e.g. Kenya) are better off. Technology itself does not solve any problems. Studies show that implementation of technology does not increase learning compared to taking same actions without technology. However technology has the potential to scale things, and make things more efficient - the potential lies in scaling up things that are good. Give more people access to internet and technology. In this category there is a span from the cool small scale operation of StudyTech who brings iPads and internet connectivity to rural schools for a day of two; to the large scale providers of platform and connectivity via satellite communication (SES from Luxenburg, Yazmi from India and YahClick from South Africa). Mark East from Microsoft also mentioned TV white spaces as an promising technology for providing the "last mile" connectivity. 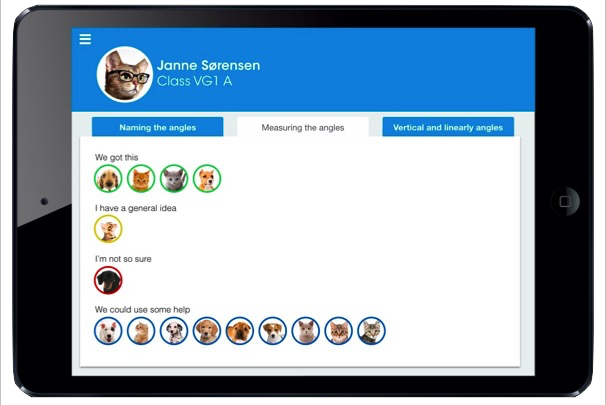 Digital curriculum on tablets to support teachers delivering the content. The Bridge international academies from Kenya is pretty extreme here- they script every lecture and have their teachers follow this script strictly via a Nook eReader. Their mission is to bring education to everyone and does this by setting up extremely standardized and efficient school at large scale with school fees at $6 pr month. iSchool from Zambia also provides a standardized curriculum on tablets both for supporting teachers and student consumption. Co-creation of content. Creation of digital content as part of the learning process. Dr. Eric Hamilton from Pepperdine University are working on a very interesting project focusing on content creation as a core learning process but also a way to change the traditional teacher-student relationship. Read more about the project at www.teacherscreate.org. It is also worth noting that Microsoft has launched Office Mix, which is a free plugin to office for simple creation of eLearning content. Tablets and self-learning as as an alternative to schools. What happens if you give a thousand Motorola Zoom tablet PCs to Ethiopian kids who have never even seen a printed word? Within five months, they'll start teaching themselves English while circumventing the security on your OS to customize settings and activate disabled hardware. Very interesting to hear Michael Girma Mekonnen talk about the "one tablet pr child" project and the results of MIT´s research. whose mission is to "use robotics training in African schools to create and inspire a new generation of problem solvers, innovators and change-makers." The Brick box - a last mile connectivity router.